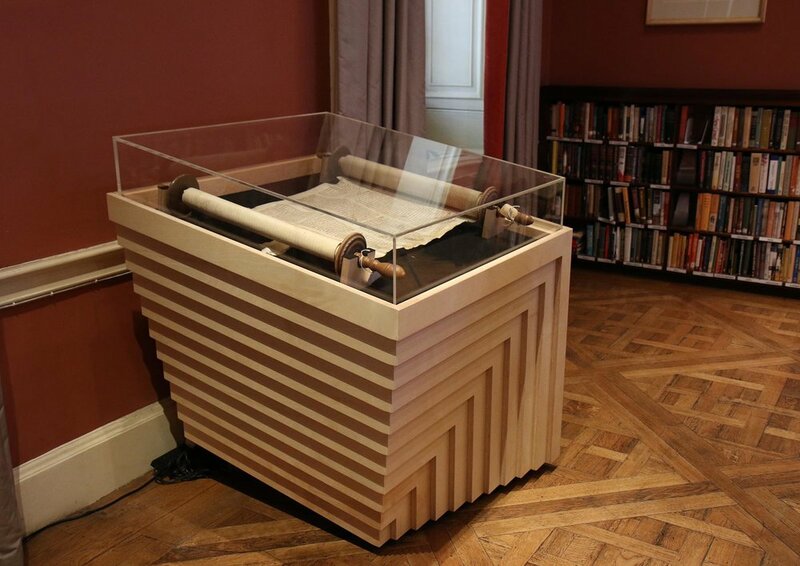 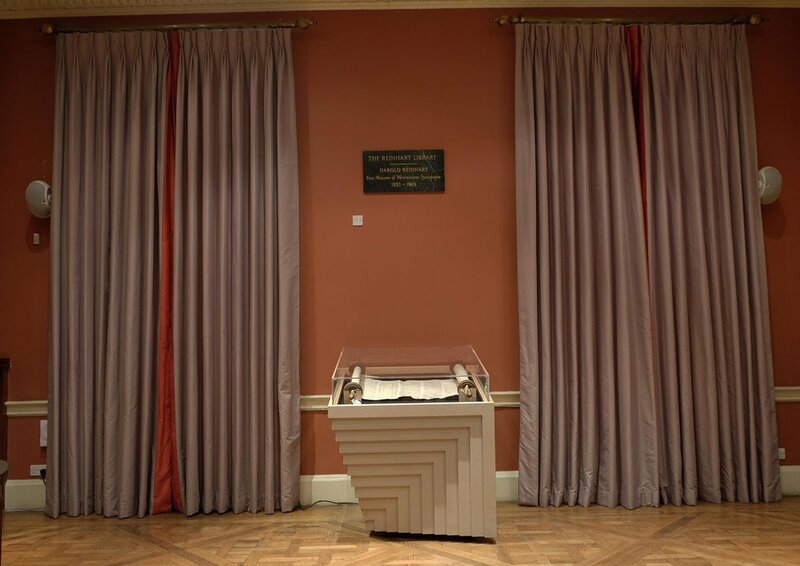 MATA Architects were commissioned to design a bespoke cabinet to house and display a historic scroll in its new home within the library at Westminster Synagogue, London. 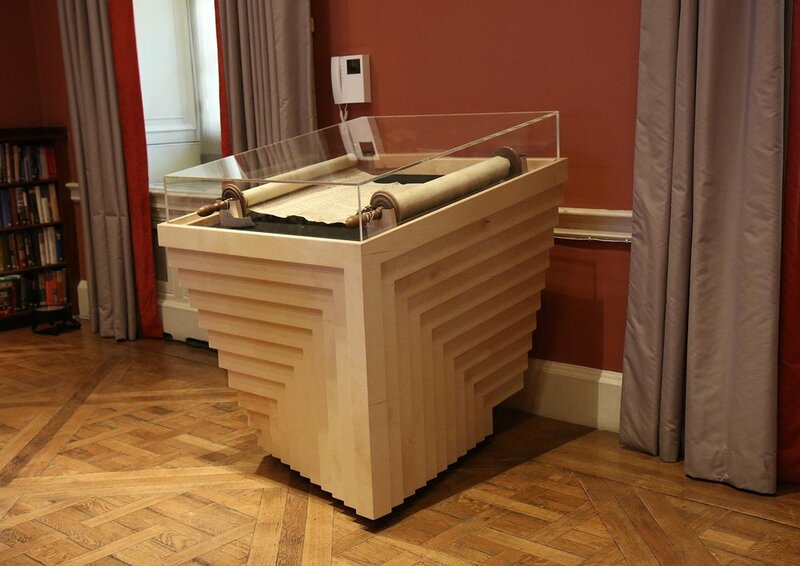 Birch Plywood, a modest material, is crafted into a bold, contoured geometry. 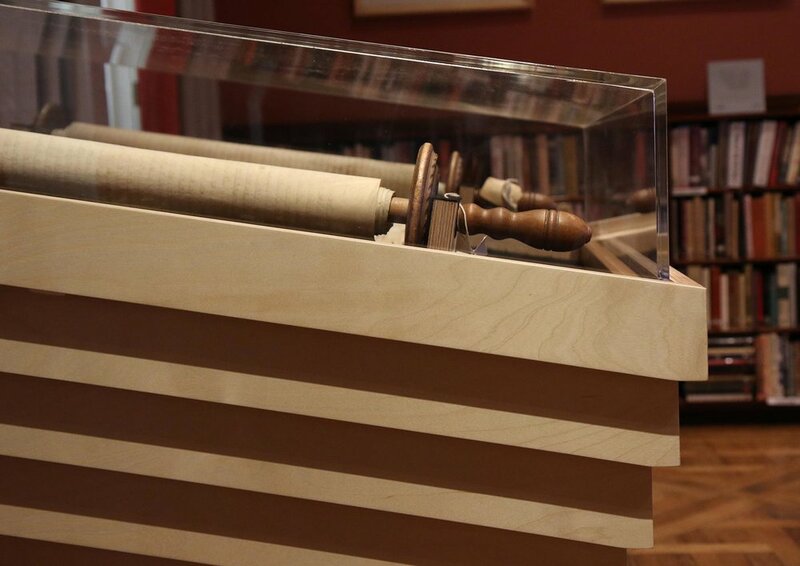 The end grain is left exposed, expressing the linearity of the design and drawing the eye to and around the cabinet.